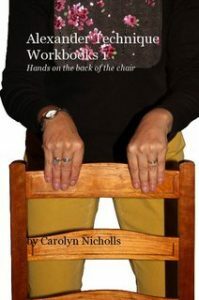 This book is full of photos to help those who want to know more about the strange practice of Hands on the back of the chair. It’s wonderful for integrating the hands and the whole body- great for those who tap away at computers (that’s you!) or musicians or Alexander teachers.